NORTH BAY — Hard on the heels of a ban on the fake snow used by film productions, City Council announced Thursday morning that it would be banning all snow in the city. 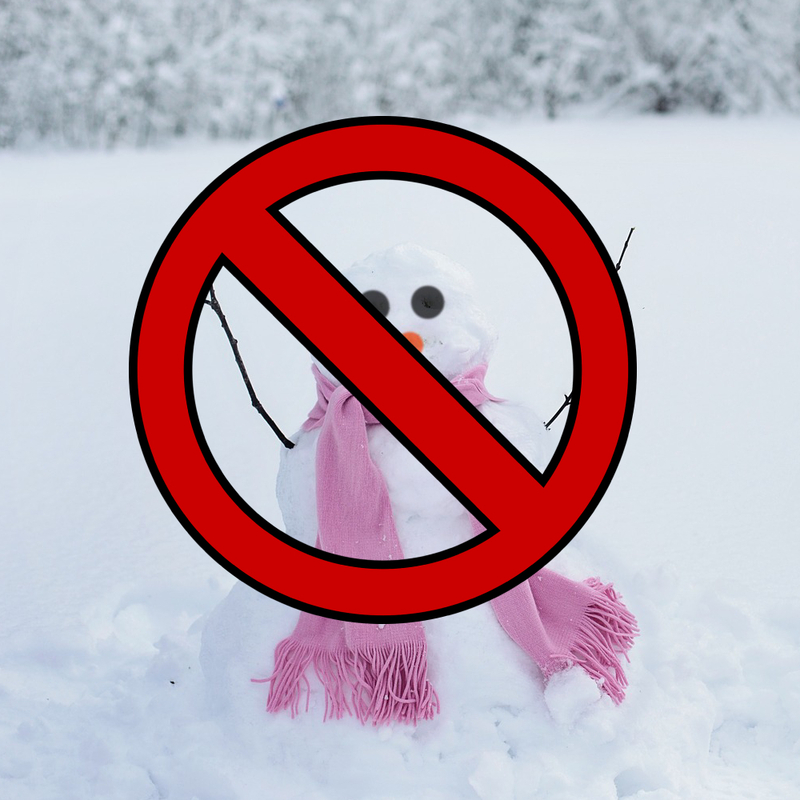 With “possession of snow” officially a punishable offense, citizens are encouraged to take all the steps necessary to avoid being found with the white stuff. While Tikus says the decision may baffle some North Bayites, he wishes to assure citizens that it was made for all the right reasons. With less snow to deal with in the city, Council expects that road maintenance costs will decrease. Does that mean less road maintenance will lead to less taxes?